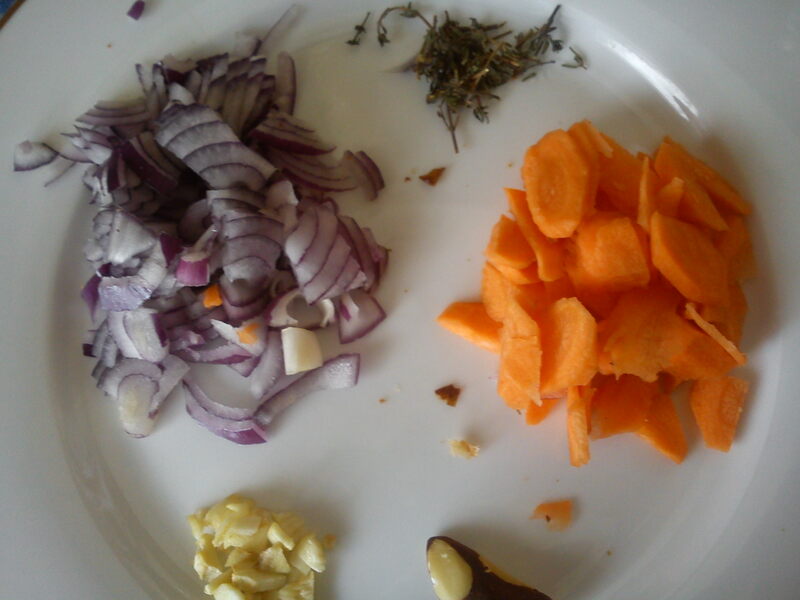 *In a really hot frying pan with a bit of olive oil, fry the onion with thyme, then add in chopped garlic and carrot. Add in a pinch of salt then stir until the carrot is cooked to your liking. *Place the crunchy/warm croissant in a serving dish; pour the content on your frying pan on the croissant. Then grate the raw Brazil nut on top of all that. I didn’t have milk so, fresh grounded black coffee was my hot drink to accompany all that. Voila! This is my idea of a random fry-up. Hope you’ll try it. 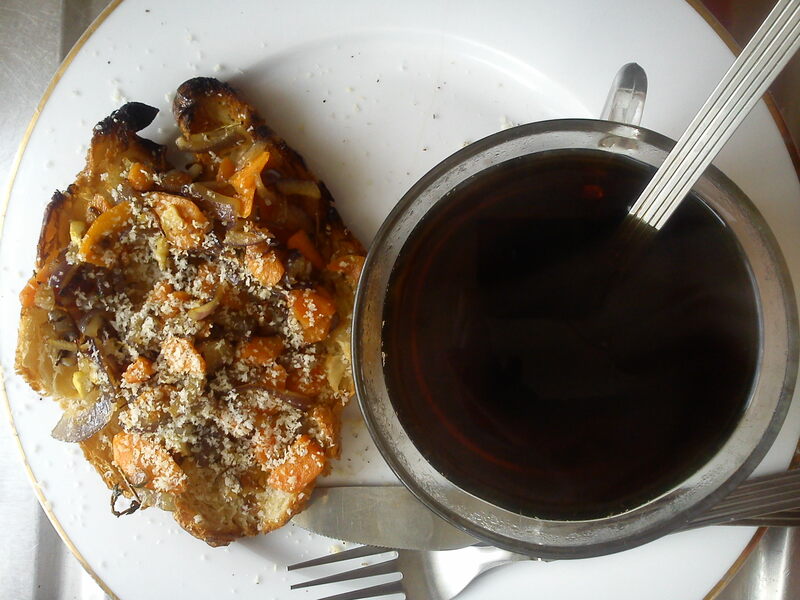 This entry was posted in Breakfasts & Brunches and tagged Brazil nut, Carrot, Cook, Croissant, Garlic, Olive oil, vegetarian. Bookmark the permalink.